Start with a little salt from the salt bowl, work your way down the line and finish up with a lime slice from the Mexican tile. 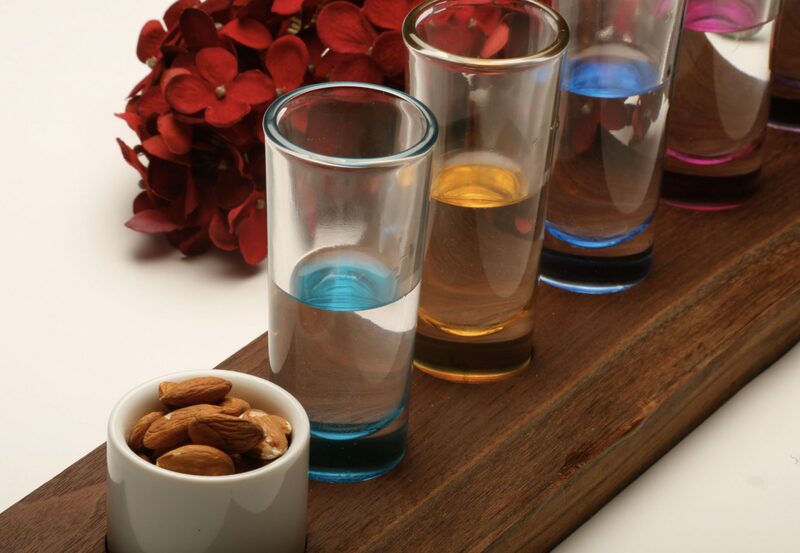 Category : Fully Customizable Wooden Platters. 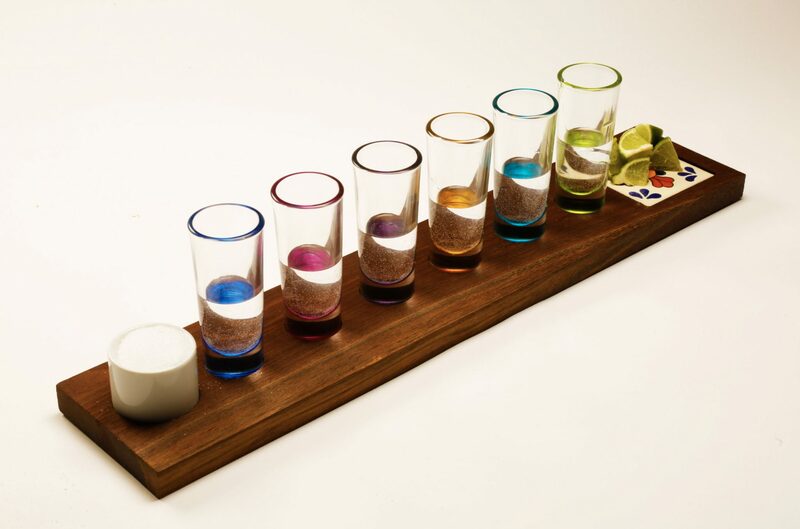 We can make this to accommodate any number of shot glasses. 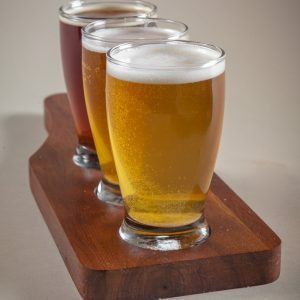 As with all of our products, we can either sell you the inserts(glasses, bowl, tile) separately or we can customize the board to fit your inserts.